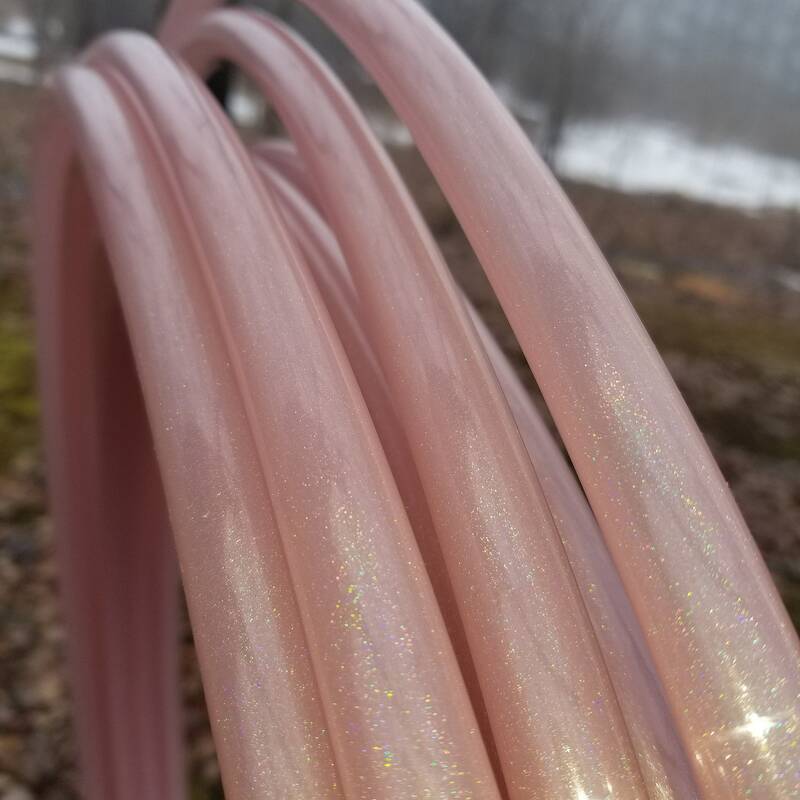 UV High Gloss Glitter Polypro Rose Gold Polypro is a light weight plastic that is super reactive to touch making this the perfect hoop for fast light weight trick hooping. The high gloss finish also helps with grip. Push pin look makes this hoop easy to coil down for travel. Selecting Twin in the drop down menu means two hoops the same size. This hoop is fantastic! 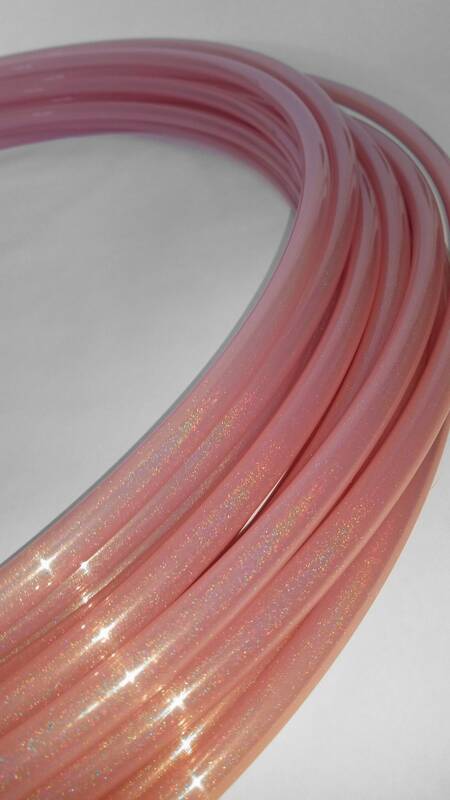 It's lightweight and durable, and the color is gorgeous. I got my order in a timely manner and let the hoop uncoil on its own within about 24 hours. I've loved using it so so much. Thank you!